If you don't enjoy the game, you'll still end up dancing to the music. 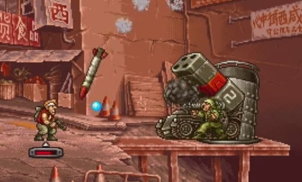 Metal Slug Defense grows on us with each completed level. It can't be explained, nor should we ever try to. All that matters is that we conquered Stage 2 of East Asia. Check it out.